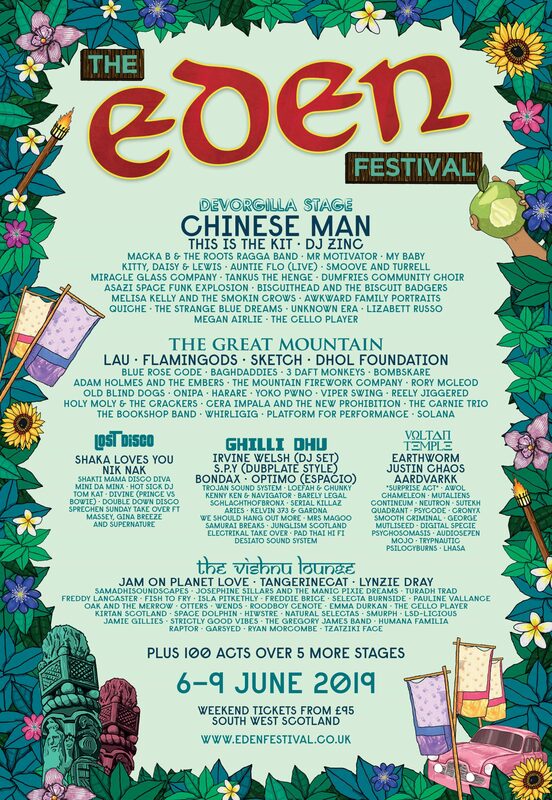 Eden Festival 2019 will be held from the 6th – 9th June near Moffat in the South of Scotland. Tickets start at £105, with under 12’s entry fee £20 and under 5’s free. Eden Festival is a family friendly festival with entertainment for all ages. Expect over 300 acts spread over 12 stages , divided up with a myriad of walk ways, boardwalks and tunnels.